The number of nurses trained to treat breast cancer patients is failing to keep pace with the increasing numbers of those suffering the disease, a charity has claimed. Breast Cancer Care's latest figures show the number of specialist nurses for the disease has flatlined at about 430 since records started eight years ago. That's despite a near-20% rise in the number of people diagnosed with breast cancer in England over the past decade. Numbers soared to 44,831 in 2013 from 38,153 in 2003. Patients and survivors can temporarily escape the stresses of their condition with a holiday. 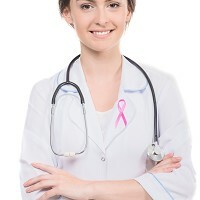 Breast cancer travel insurance can provide round-the-clock emergency treatment and cover for lost medication. Why are specialist nurses so important? Specialist nurses are key to helping sufferers through their cancer journey from detection to recovery, says the charity. Patients treated by specialist nurses say their care and treatment was much better, according to the NHS's cancer sufferer experience poll. Breast Cancer Care chief executive Samia al Qadhi says the Government needs to act immediately to ensure that each cancer sufferer gains access to "fantastic" specialist nurses. NHS England says that speciality nurse provision is the responsibility of each hospital.